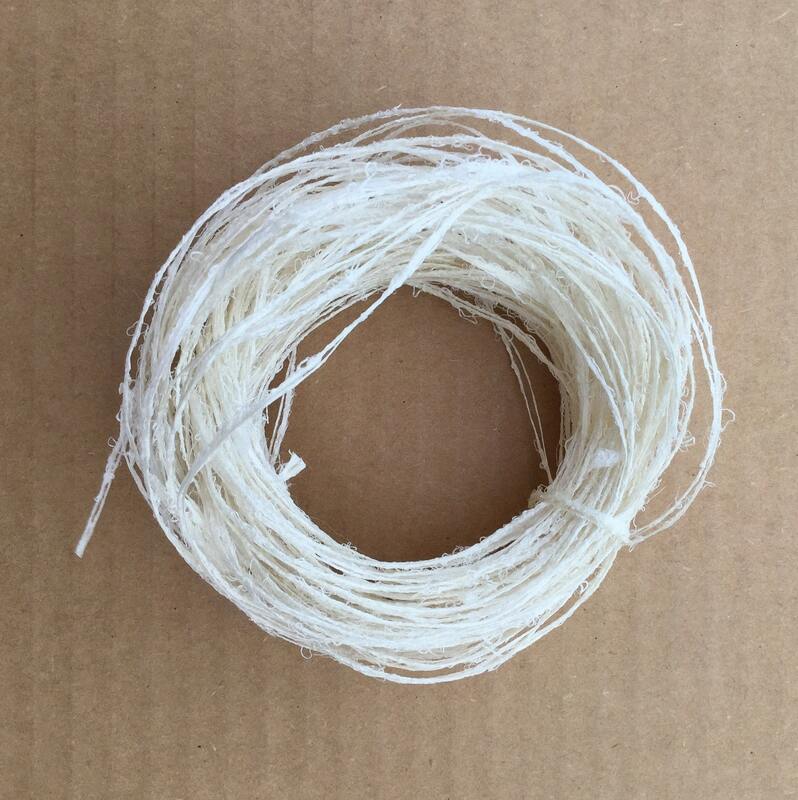 This listing is for 15metres (16yds) of Mulberry Silk String. The string is the finest that we have and roughly equivalent to 2 ply in thickness. 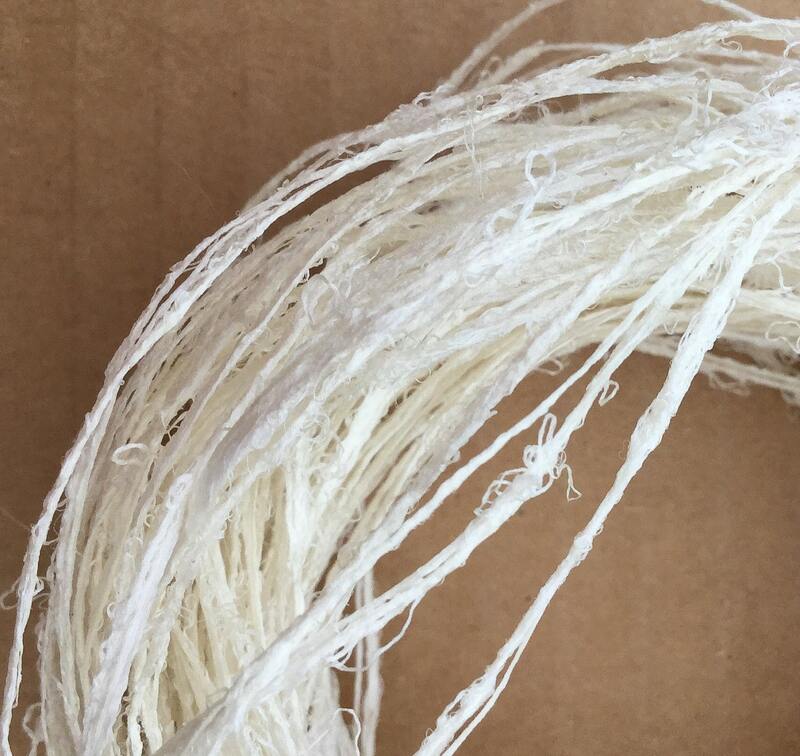 The Silk String is Ecru in colour. It can be dyed with both Procion MX dyes, Acid Dyes and also painted.